Good old times, do you remember? There was a time, when cameras were analog and there was a time where ESI ruled the planet of C64. Thanks Dan, Ladyhway, Mitch… and all the rest for making my C64 times worthwile. You definatley rocked the scene. I knew what I had to do with this picture, right when I shot it at the Fasanerie in Hanau. 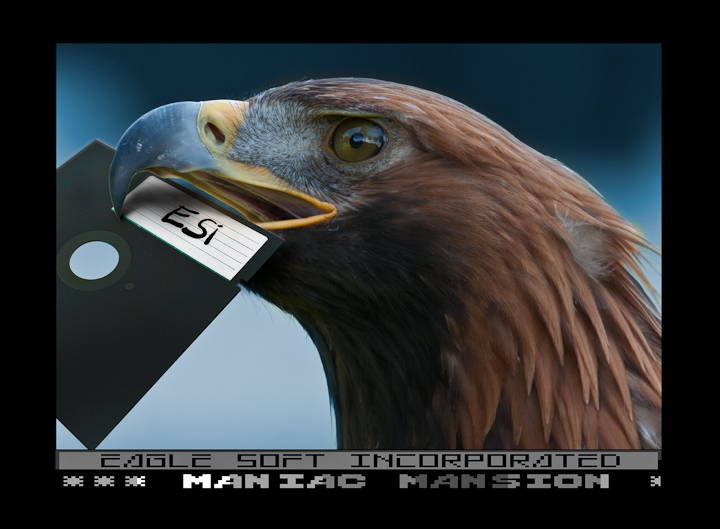 RIP Eagle Soft Incorporated.